Material design, what is it? For a long time skeuomorphism was the most used design style. This particular style became very popular as Apple used it in iOS versions up till version 7. Take For example take the newsstand app, this appicon resembles a bookshelf with several books on it. Slowly this style shifted to the so called flat design. This minimalistic style that was used a lot by webdesigners, now seems to be driven away by material design, but what is material design? and where does it come from? 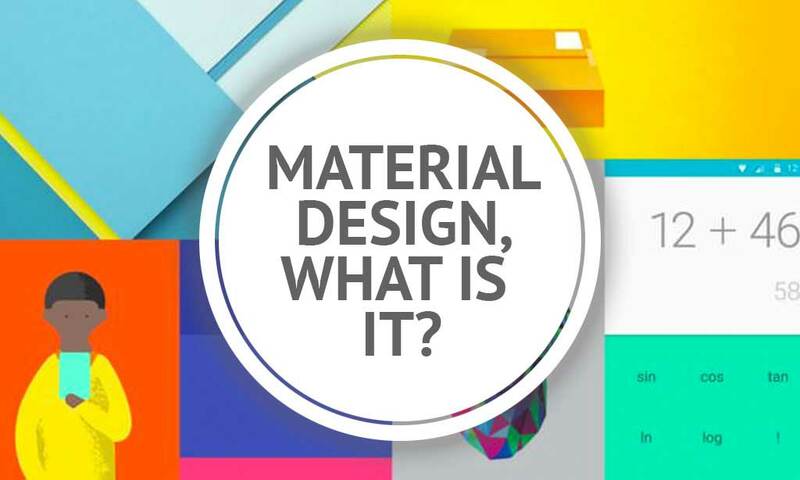 Material design, where does it originate from? Halfway 2014 Google introduced the material design style on the Google I/O conference and this style is in use since Android 5.0 "Lollipop". According to Google the material design is based on paper and ink. Elements should be constructed from different pieces of paper, in which every piece resembles a certain level of depth. Material design has a lot of similarities with flat design. The design elements from material design still look flat. Google however added a certain depth to it to enhance this style. Where flat design mainly focuses on displaying objects as flat as possible, Google has added a Z-axle. By using this Z-axle, you can emphasize certain elements as they are put on front while other objects stay blurry and vague. 2 years have passed since Google introduced material design. All over the world designers embraced this design style and we see it being used more and more.